Launched in January 2017, INTER-RELIGIO ‘Sharing religions and convictions’ is a cross-border inter-university network that enables us to respond to the challenges posed by the religious coexistence of our societies, through academic reflection. The project extends over three countries: France, Germany and Switzerland. It combines a consortium of 5 European universities (Strasbourg, Heidelberg, Tübingen, Basel, Freiburg), a private higher education institution (Heidelberg Institute of Jewish Studies) in the Upper Rhine region, and 26 teachers and researchers. 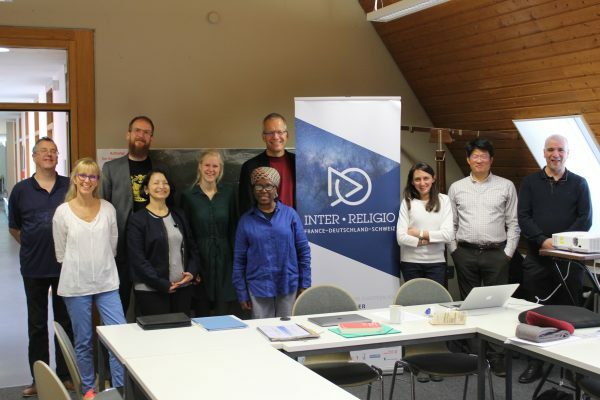 The INTER-RELIGIO initiative represents a genuine innovation through its development of a range of training courses and research on the subject of contemporary interfaith issues. Due to the different interpretations of secularism, these disciplinary approaches and fields of expertise have rarely been combined in public universities up to now. Each establishment involved in the project is invited to enter into dialogue, while at the same time sharing its specific expertise.